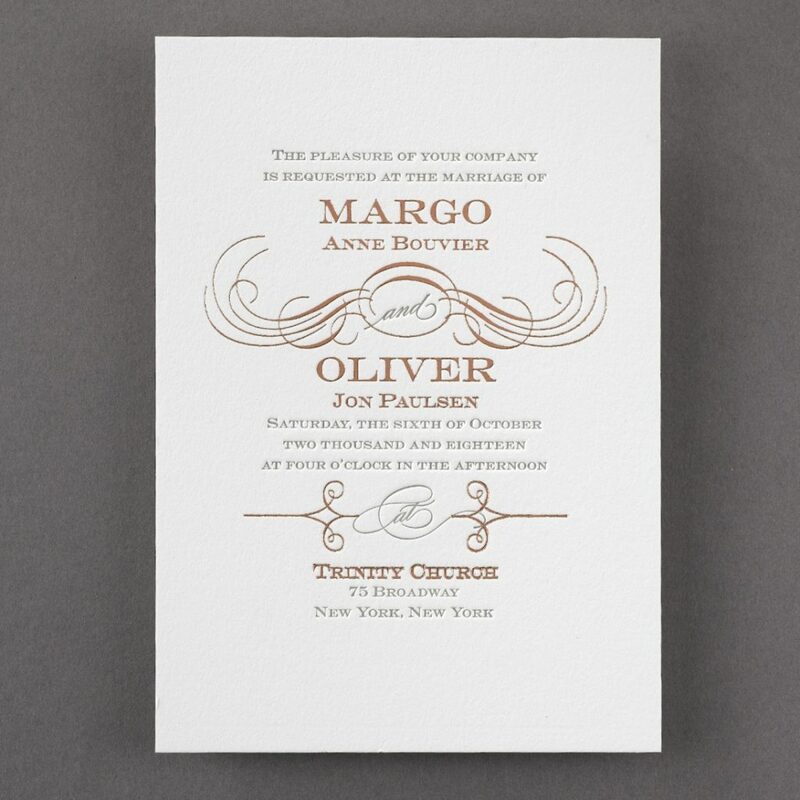 Letterpress is one of the most classic and most elegant of all the printing processes. 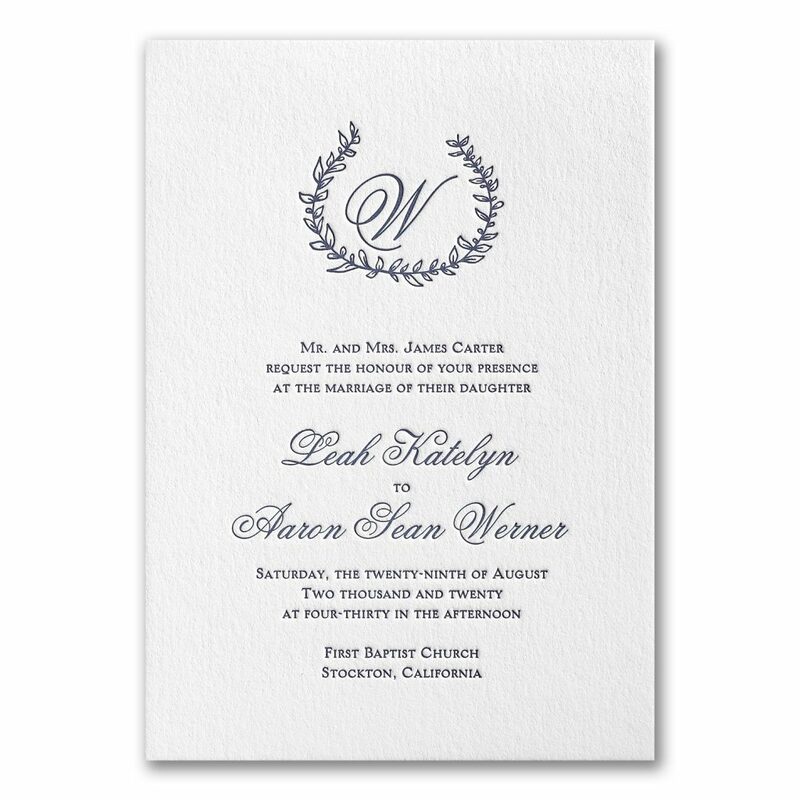 When brides visit our studio, they are so drawn to not only the look of our letterpressed invitations but the feel of them as well. 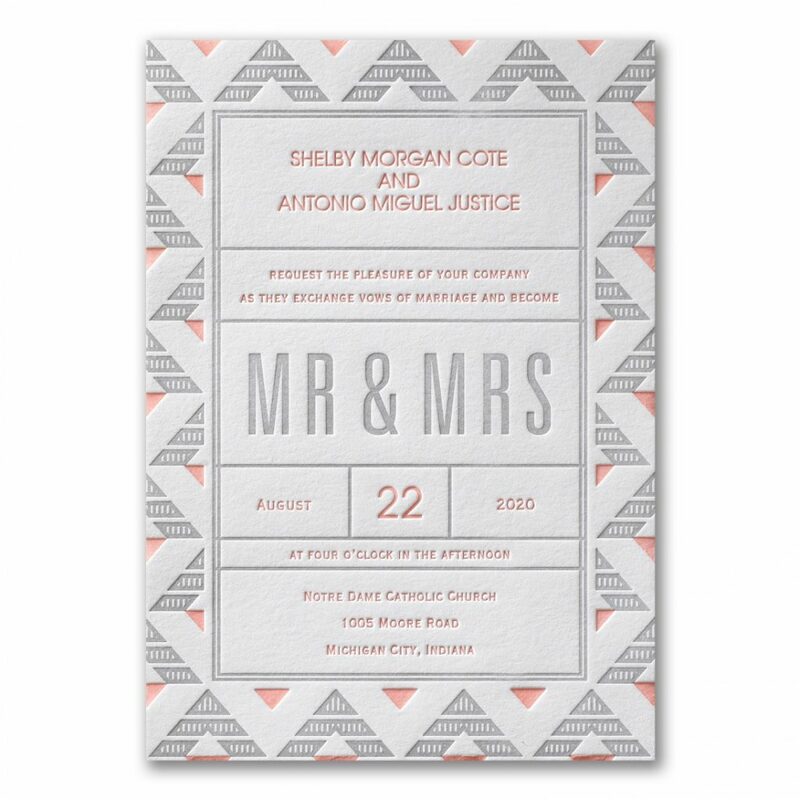 They are such a classic, gorgeous printing option in both look and feel. 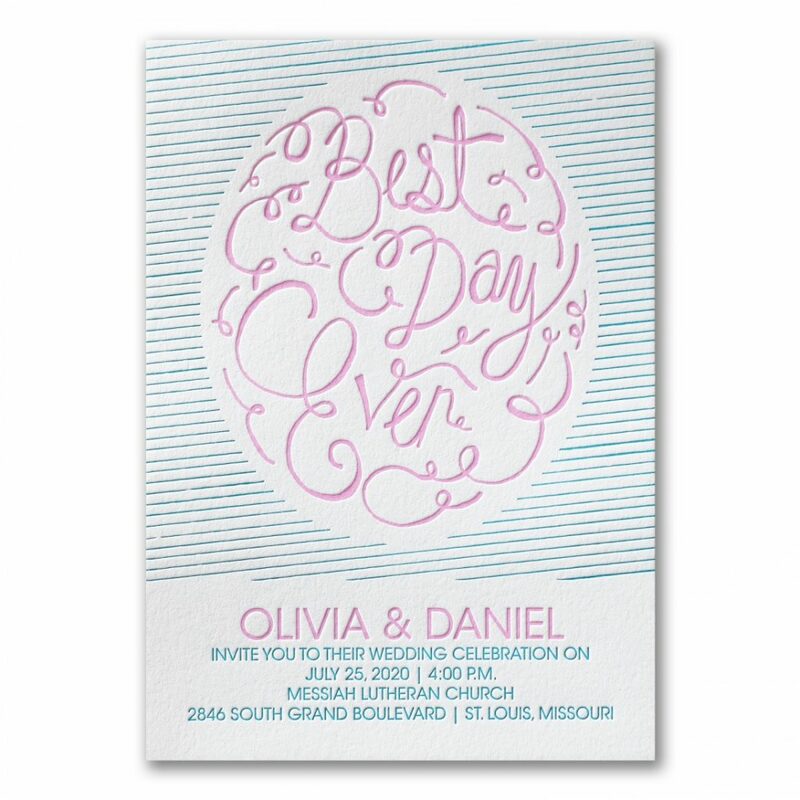 Letterpress is one of the oldest printing processes, dating back to the 1400s. 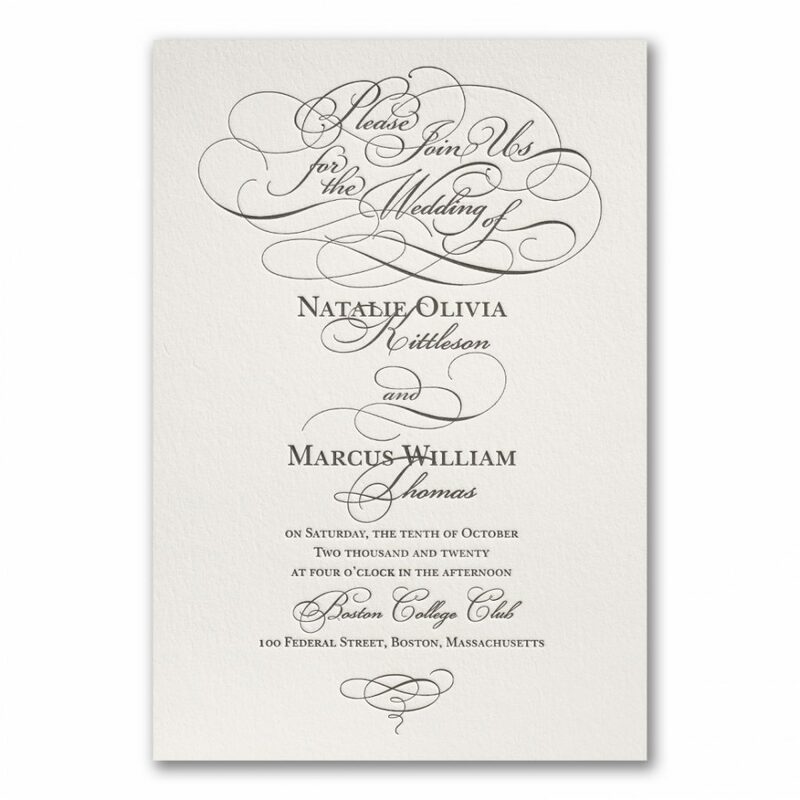 It was and continues to be an intensive process that now uses both modern technology and classic techniques to create a deep, imprinted feel on a heavyweight paper. 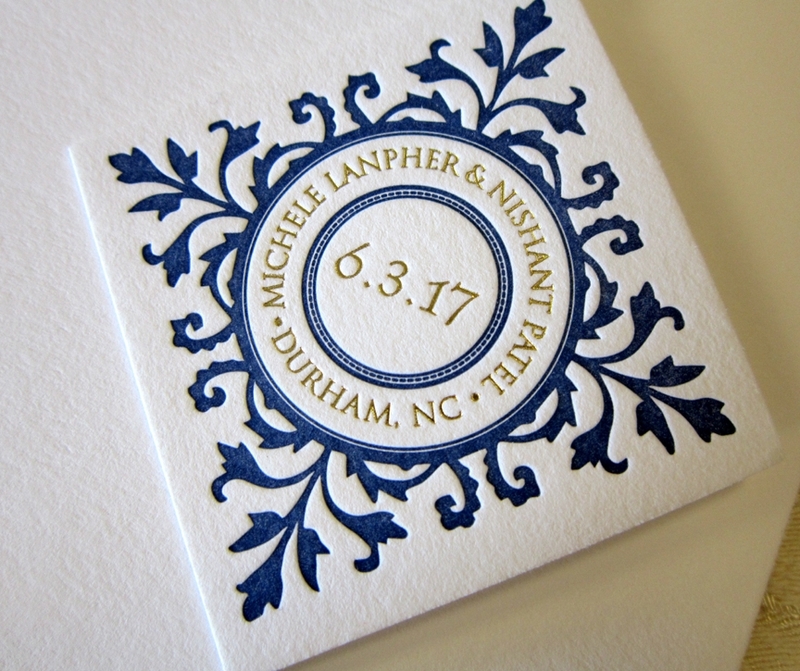 Shelly and Nishant’s custom invitation set included both letterpressing AND foil. 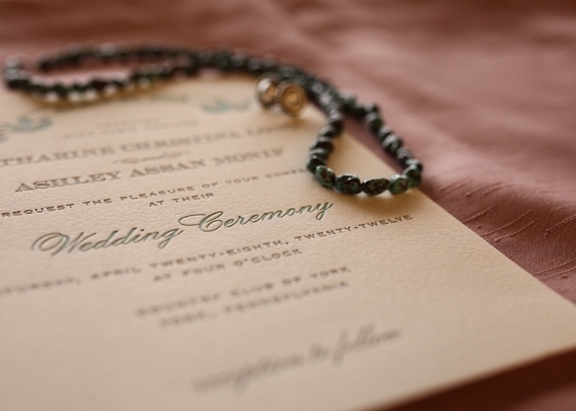 It was beyond stunning! 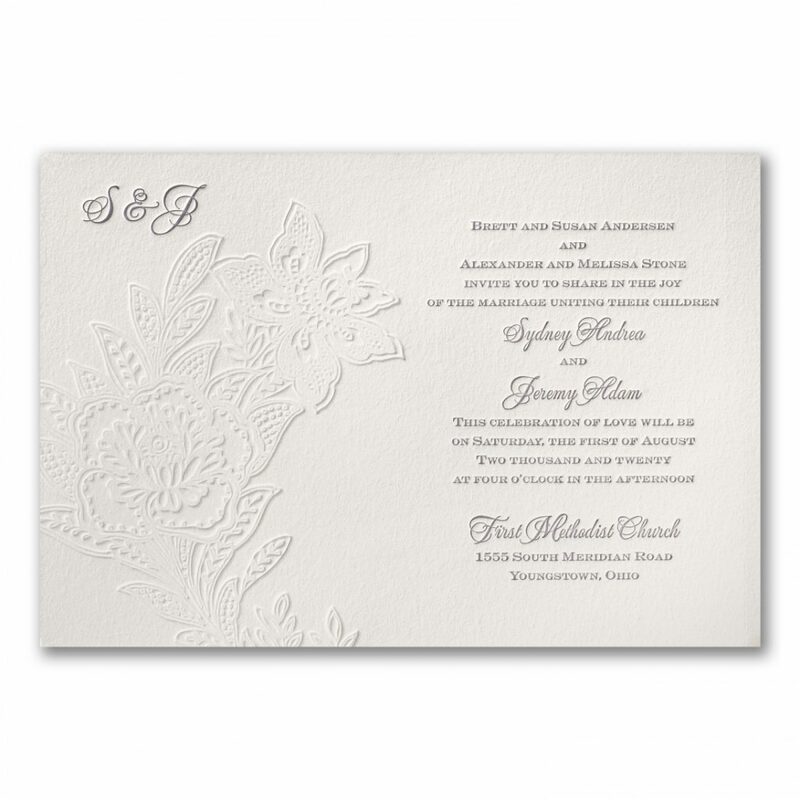 Once the design of the invitation set is finished, a photopolymer plate is created. 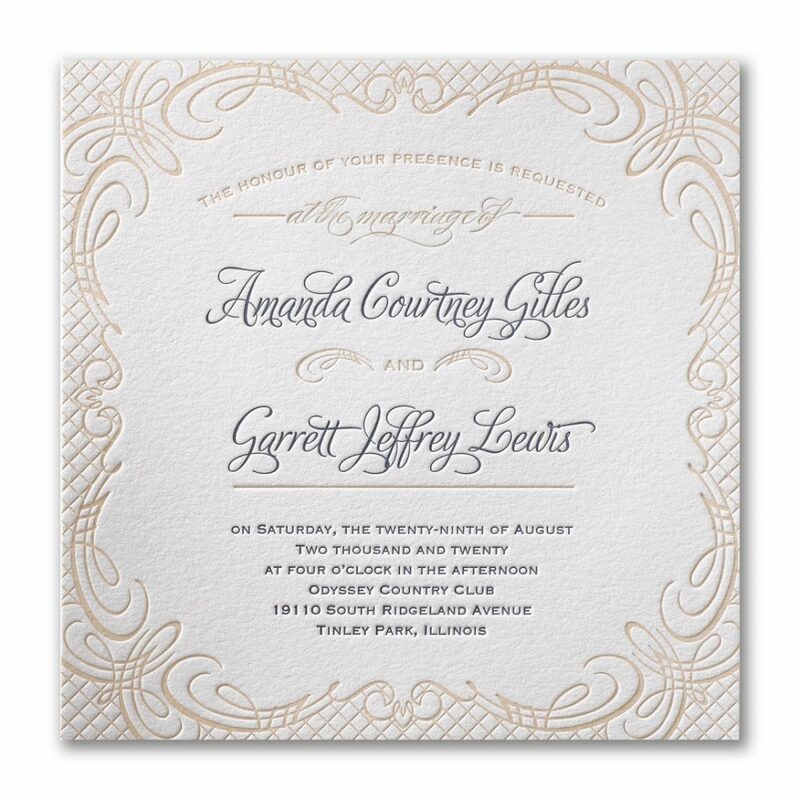 It almost looks like the design has been etched onto the plate backwards, which is important for when the plate is placed into the letterpress. 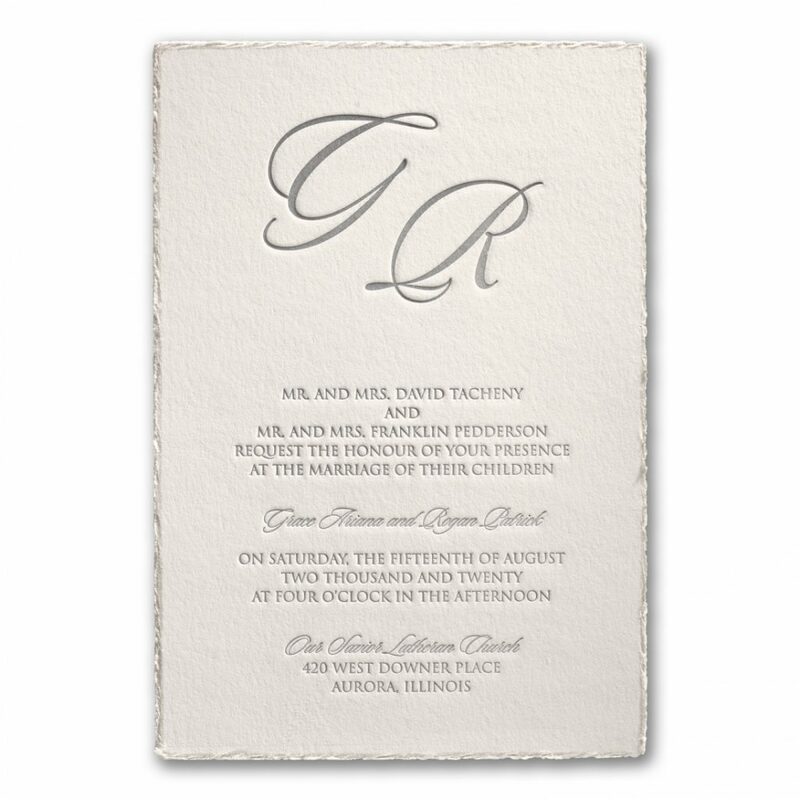 This plate is then affixed to the base of the press and locked into the machine. 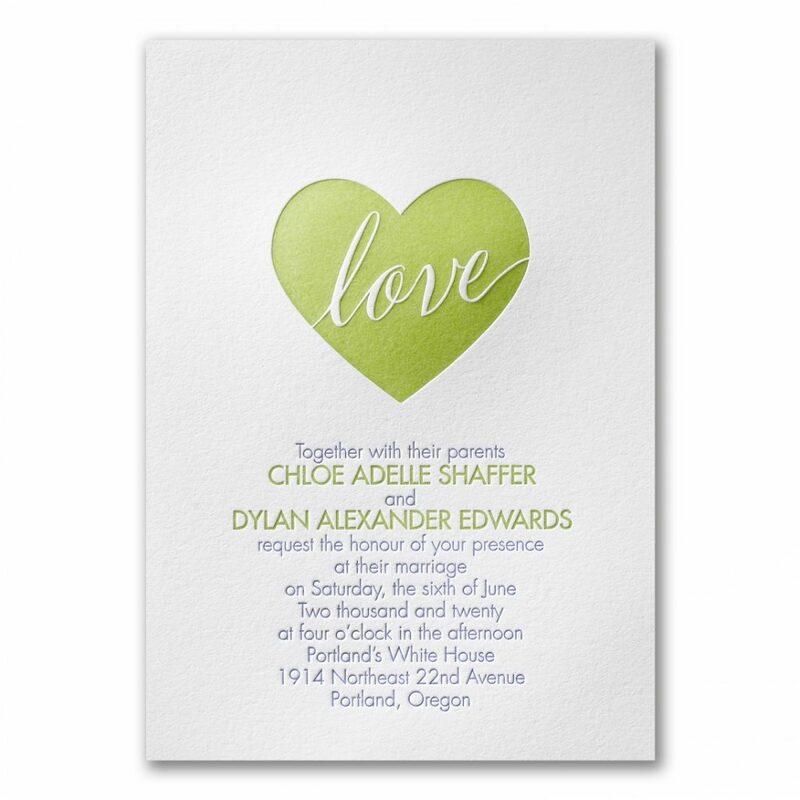 Next, ink is applied to the plate and stamped under immense pressure. 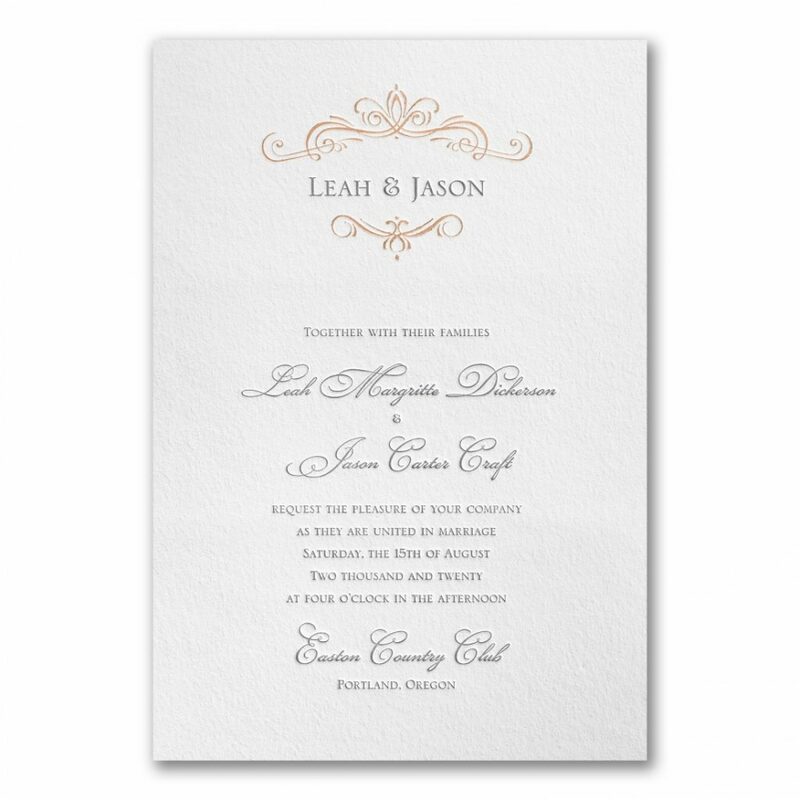 What is left is the ink and the impression from the plate, resulting in a stunning invitation design! 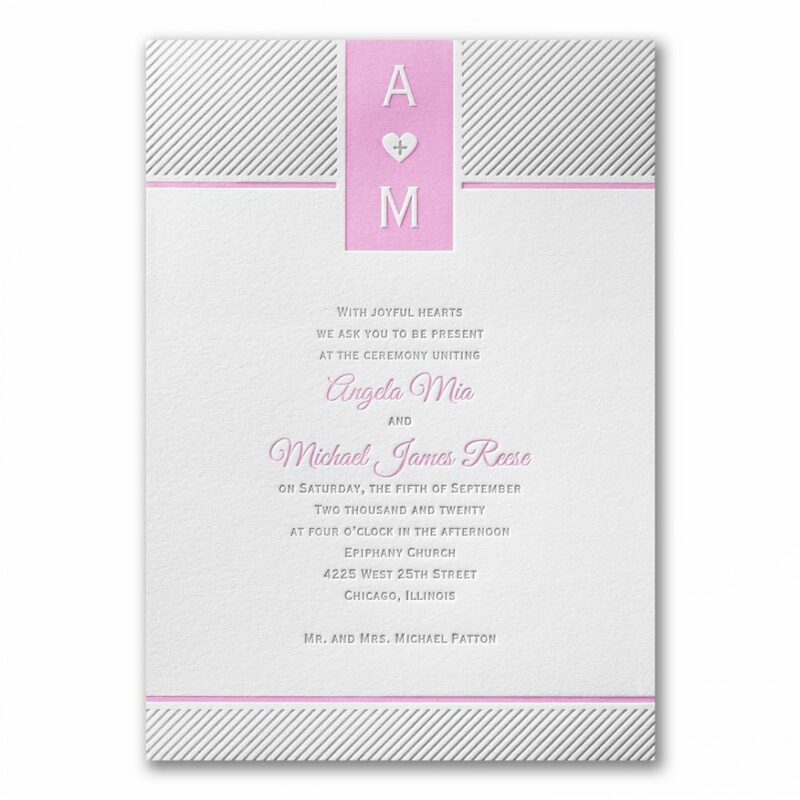 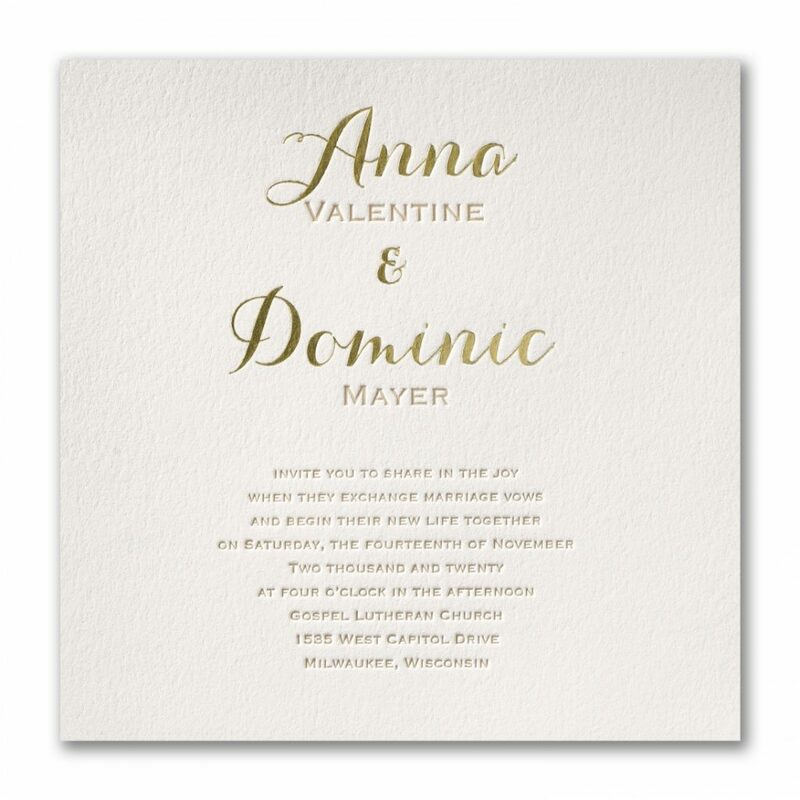 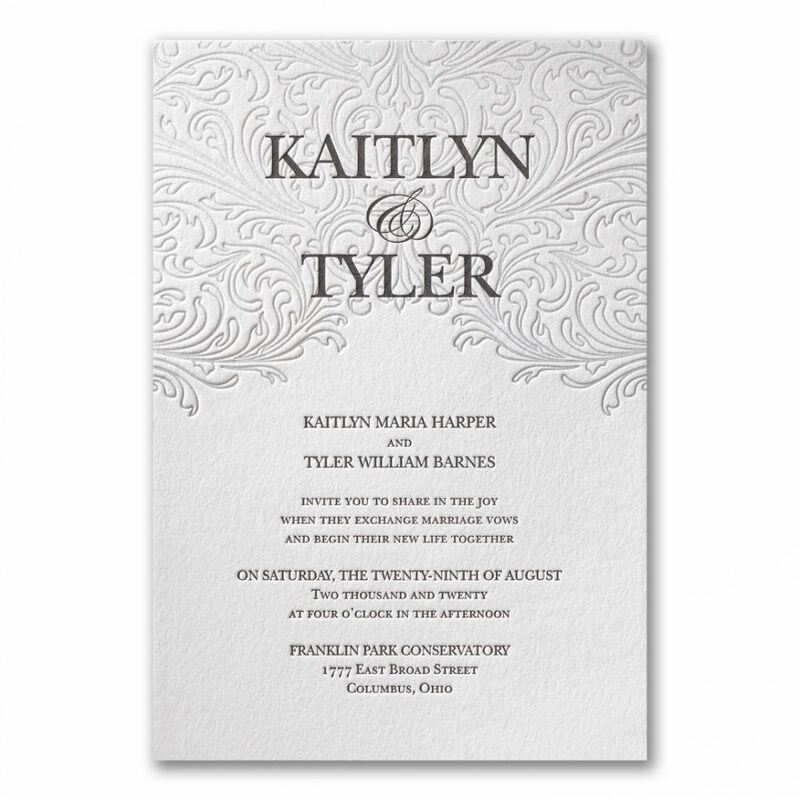 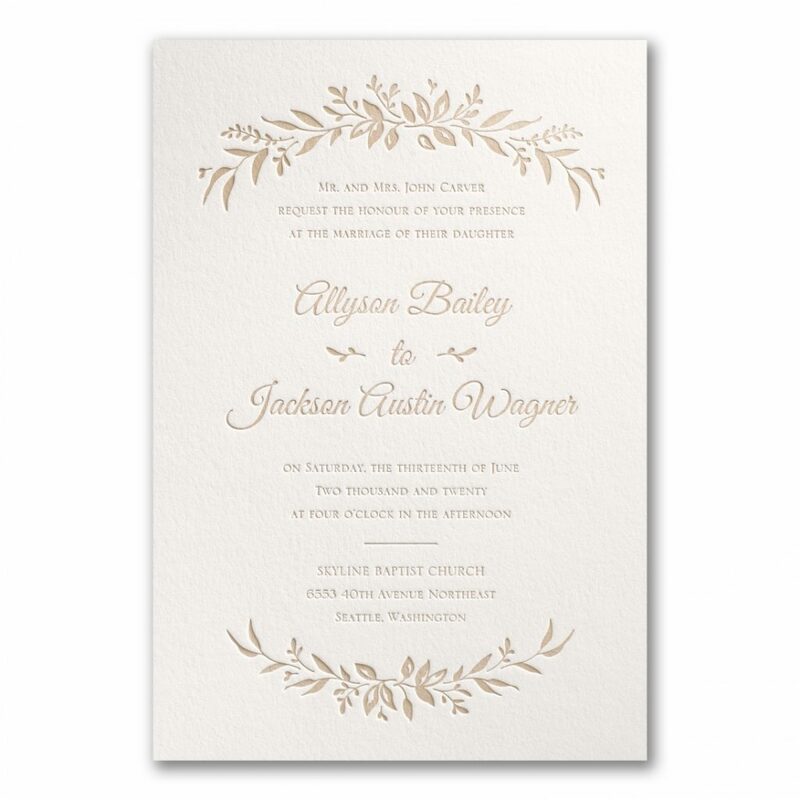 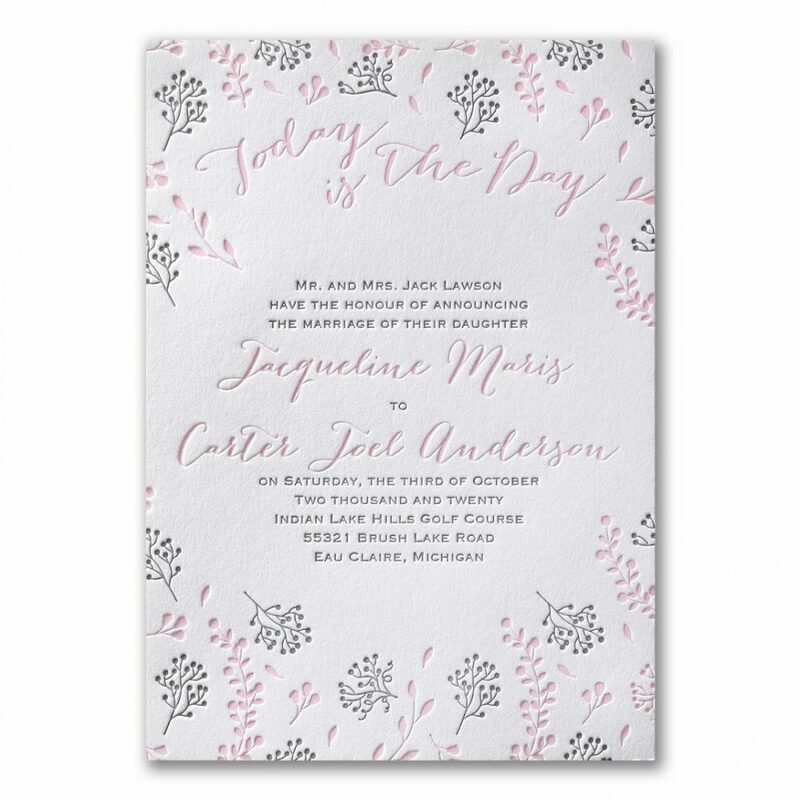 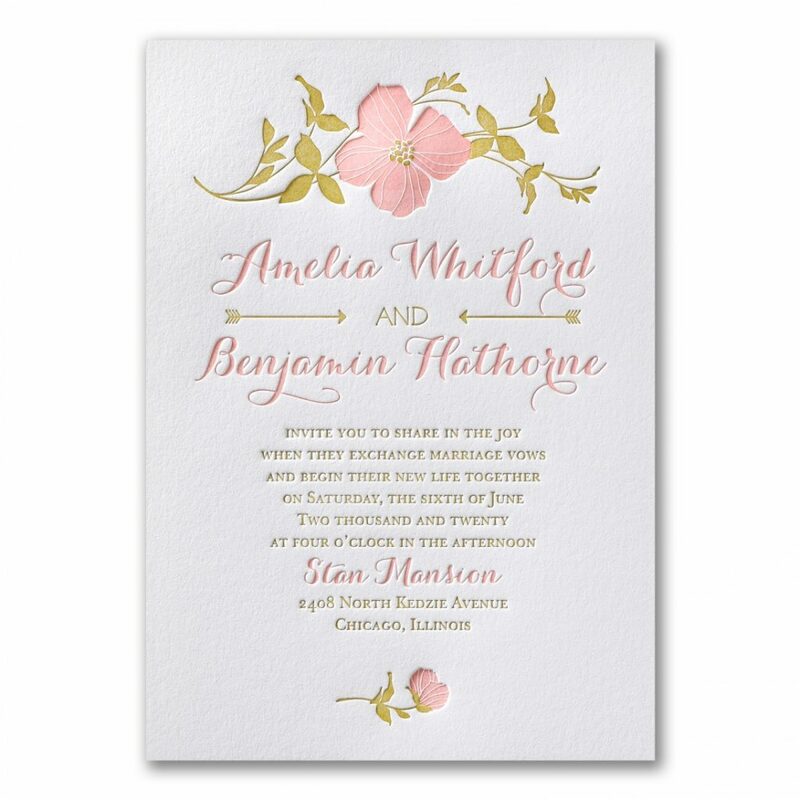 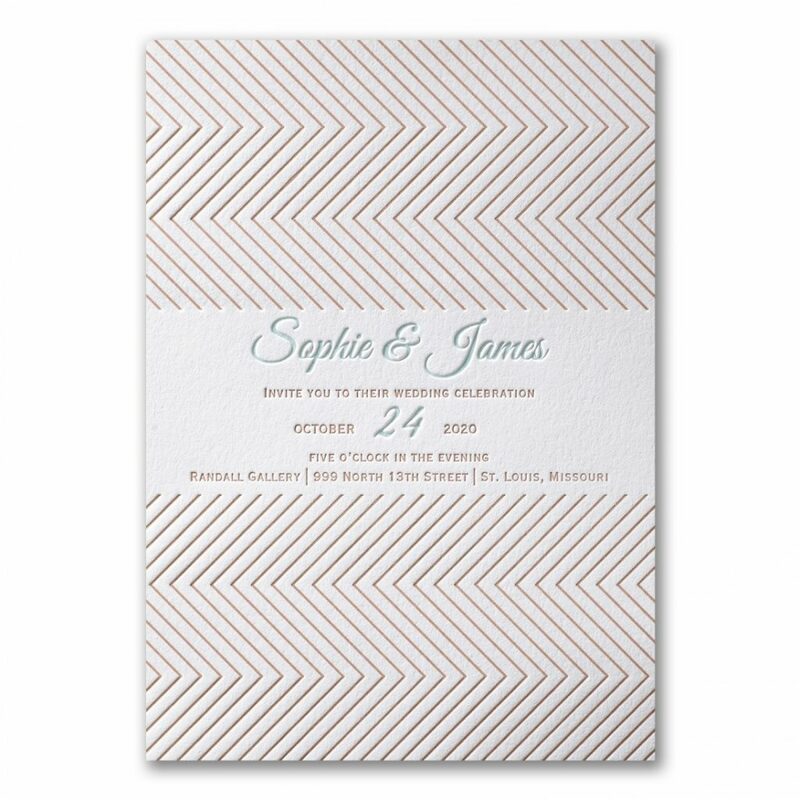 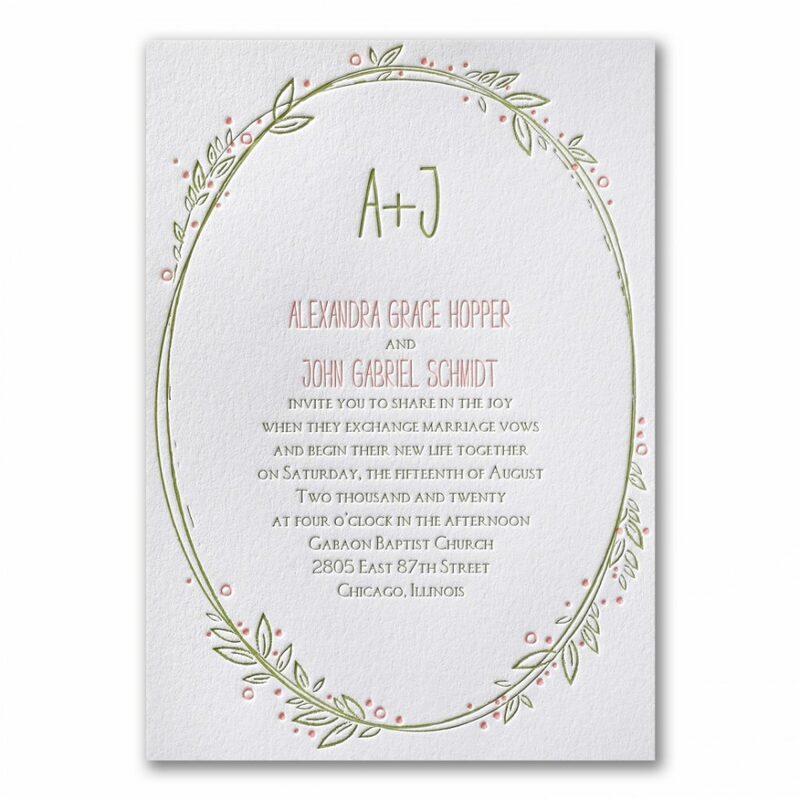 The feel of letterpress invitations are what make them so popular for our brides. 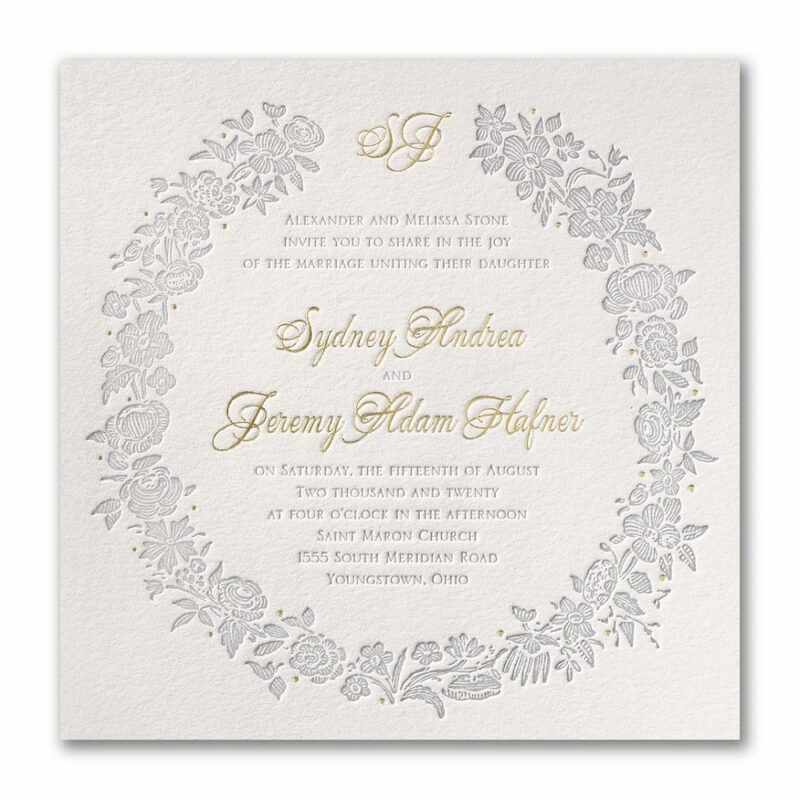 When you run your fingers over the text and the design, there is a deep impression that can be felt from the plate stamping the paper. 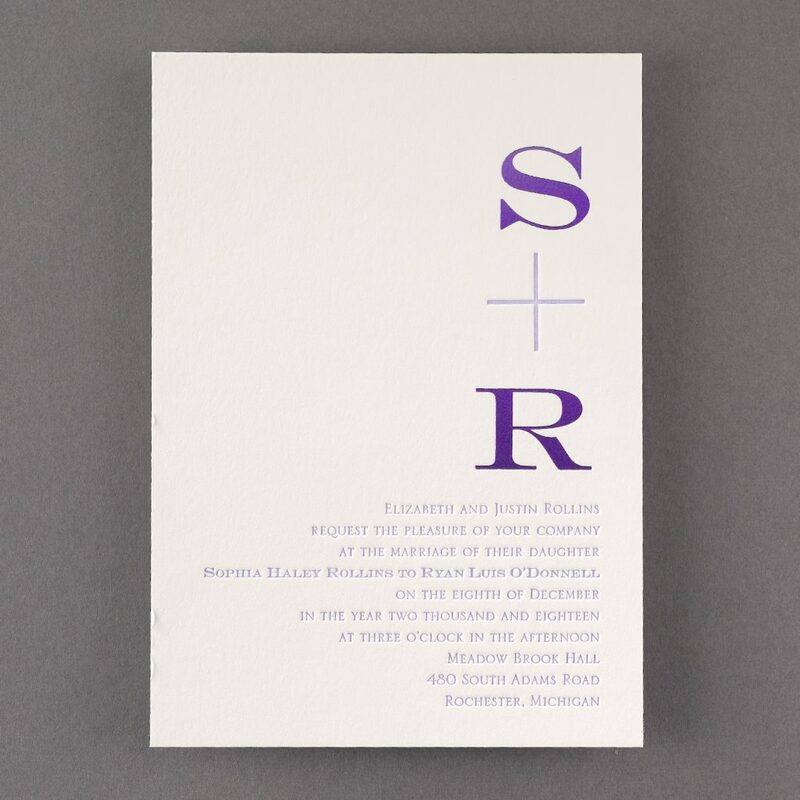 There is also a significant weight to many of our letterpress invitations, a requirement in order to put it through a letterpress. 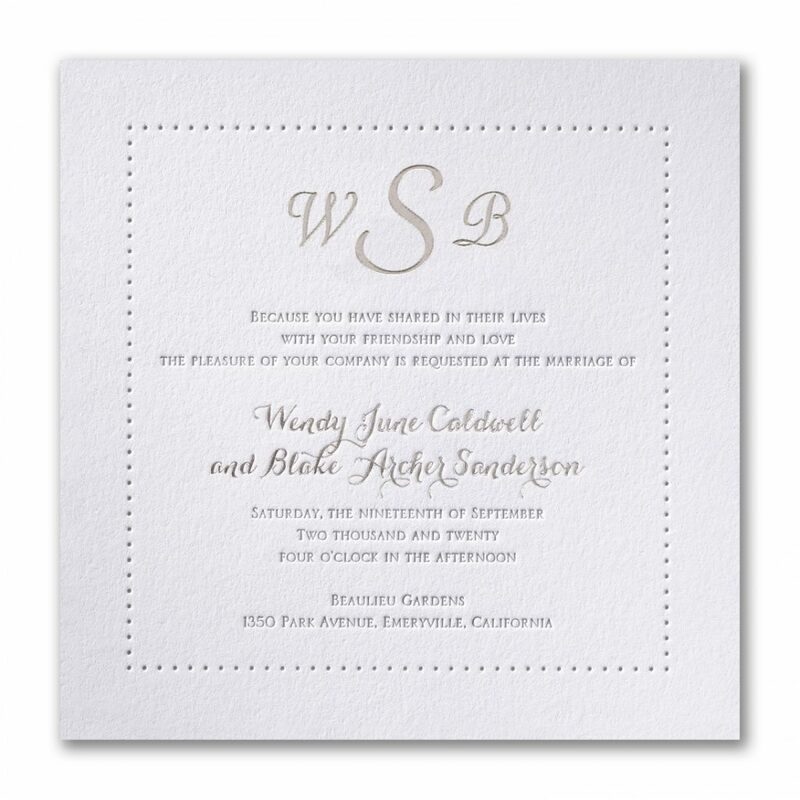 It is truly a memorable invitation your guests will adore! 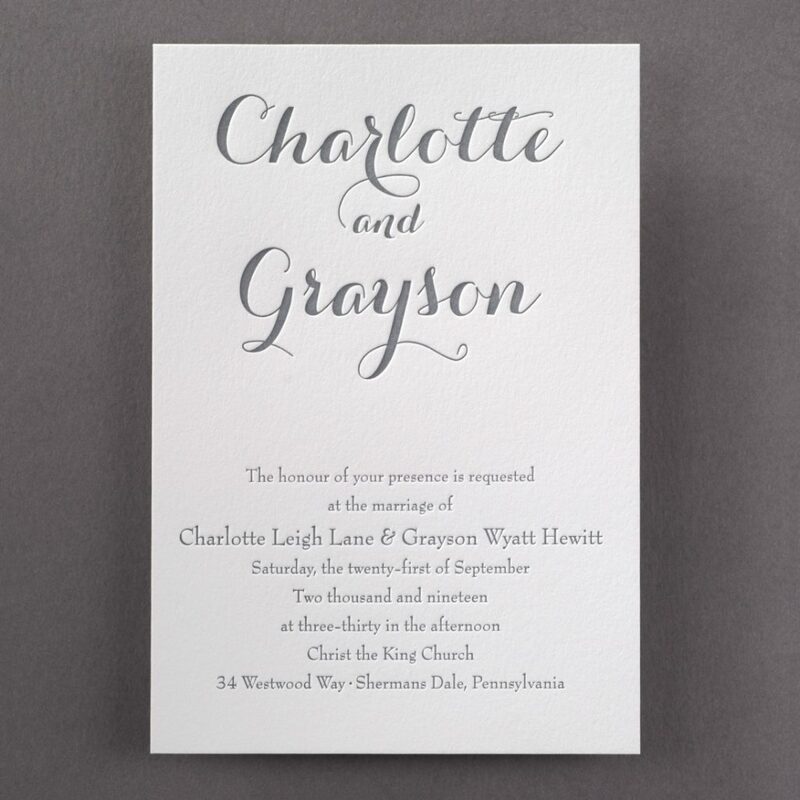 Letterpress is a piece of craftsmanship, and many of our designs are created one-at-a- time, by hand. 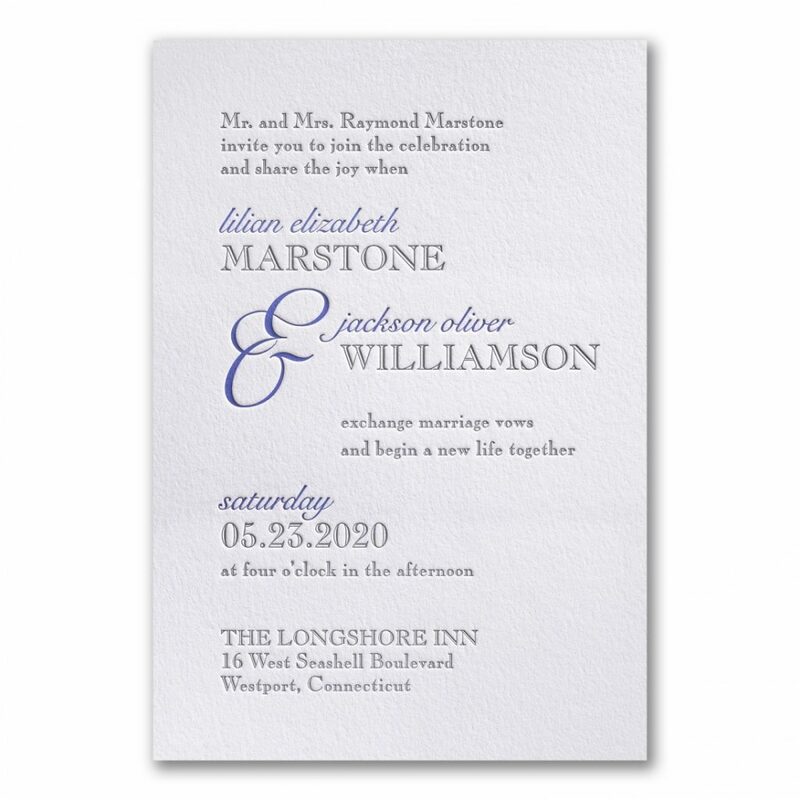 Although technology has automated the process and does not take as long as it once did, a professional printer still needs to be available to see that each piece is printed correctly. 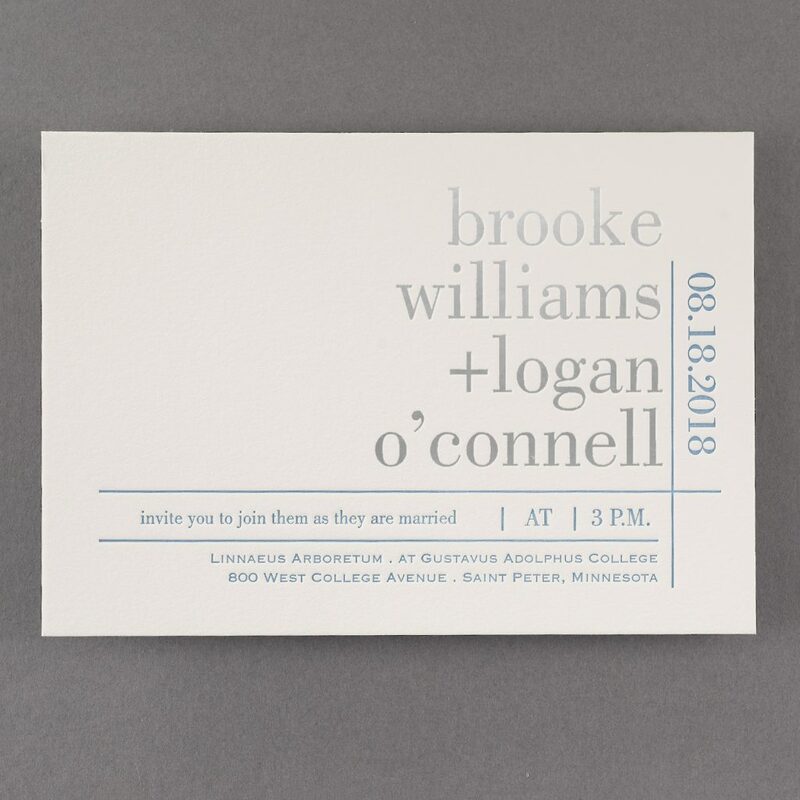 Persnickety is thrilled to offer the following letterpress designs in our studio, but we also love designing custom letterpress pieces. 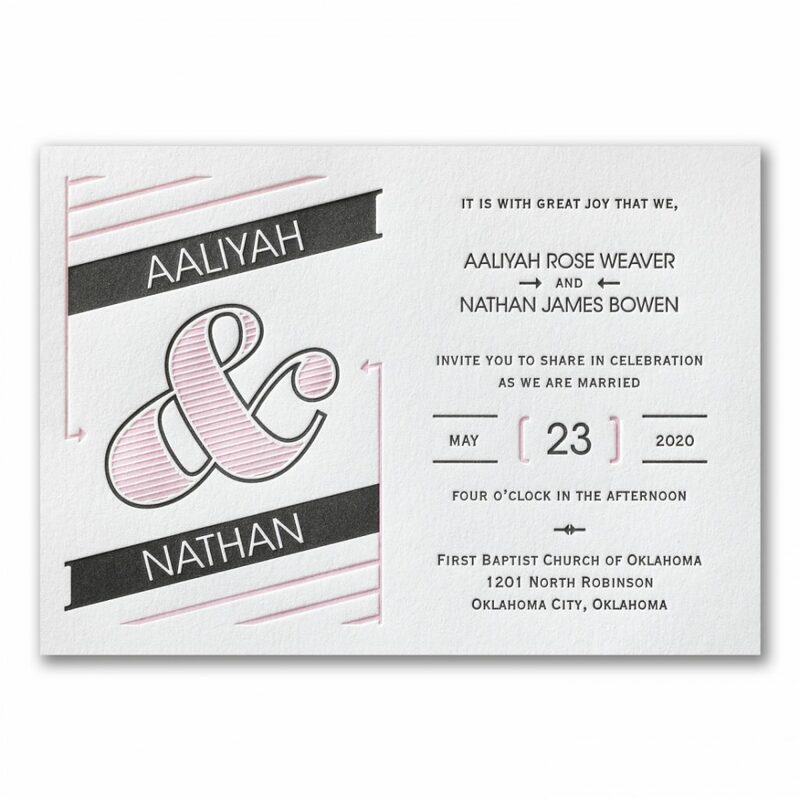 If you are looking for a custom design but want to explore the idea of letterpressing, we would love to talk! 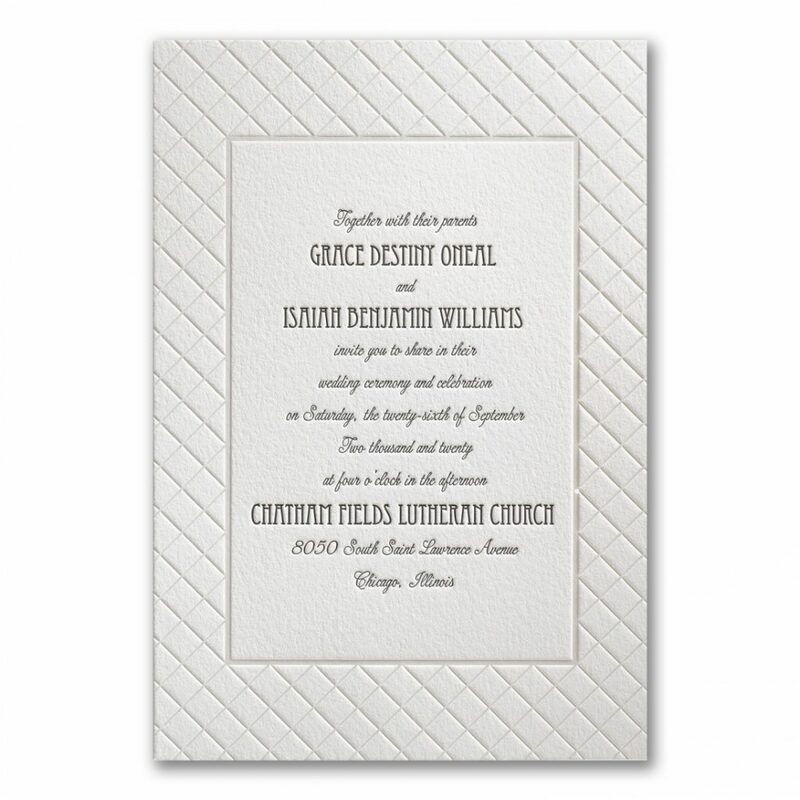 Click here to schedule your appointment today! 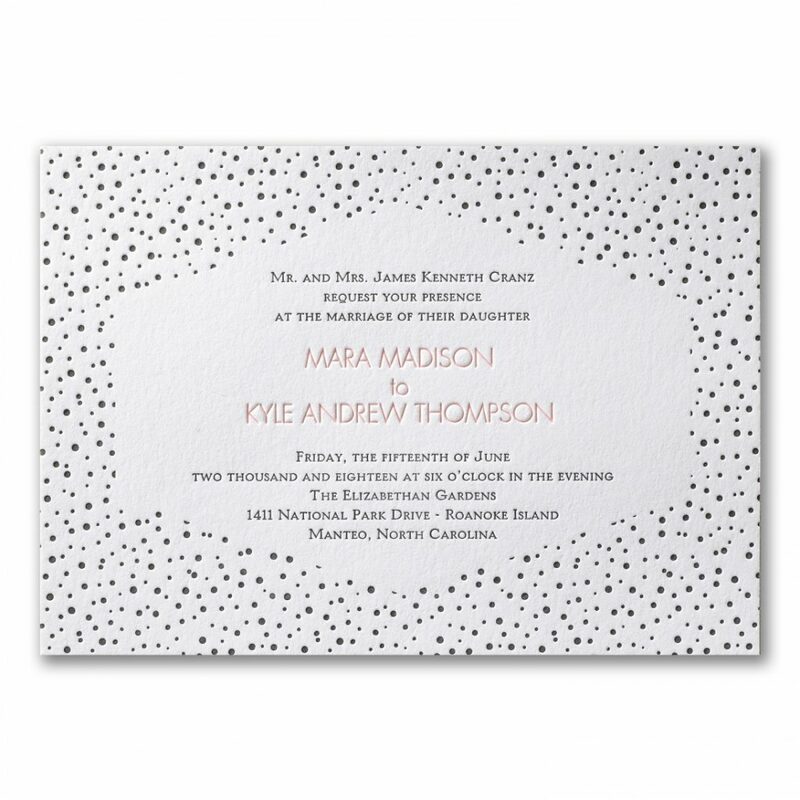 Busy Bride? 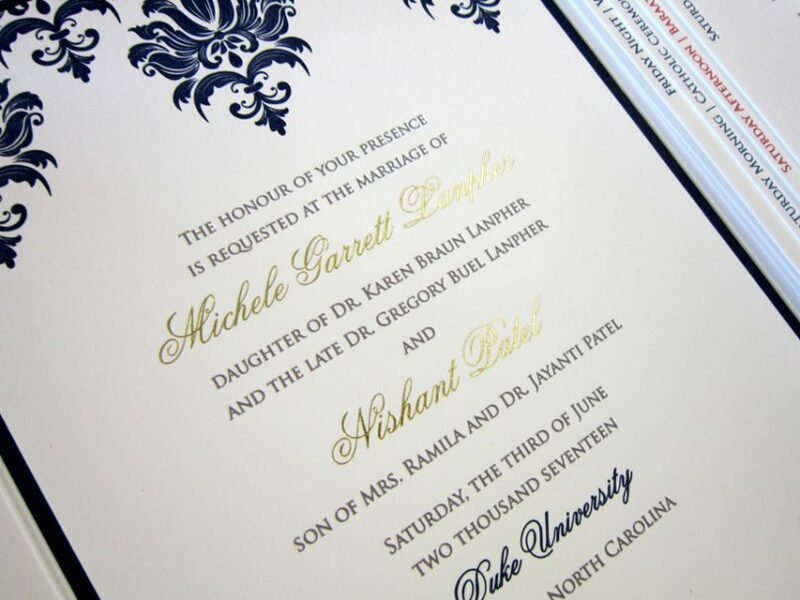 Let Persnickety Address for You!